If you normally earn and spend in pounds and dollars, finding a "cheap meal" in Hong Kong might not be such a big deal for you since average meal prices cost more or less the same for the same quantity and quality of dining. However, if you're coming from a country such as the Philippines where everything is really cheap...finding an affordable meal that is comparable to something you might order in a mid-priced restaurant here can be a bit difficult. Example: Bottled water is super cheap in Manila (P40) but in Hong Kong, I would pay around $18HKD for a 1 liter bottle from 7/11. I usually take 2 bottles back to my hotel everyday so that's already about P200+ peso just for water and that's not even water ordered from a restaurant yet. The usual route most tourists take is McDonald's or Street Food. I enjoy visiting McDonald's in other countries just to check what's different but I wouldn't want to eat my meals there everyday. Breakfast is relatively cheap though and comes with a big cup of good coffee so I usually give in in the mornings. ps. You can get McMuffins all day and they only cost P140 with coffee. 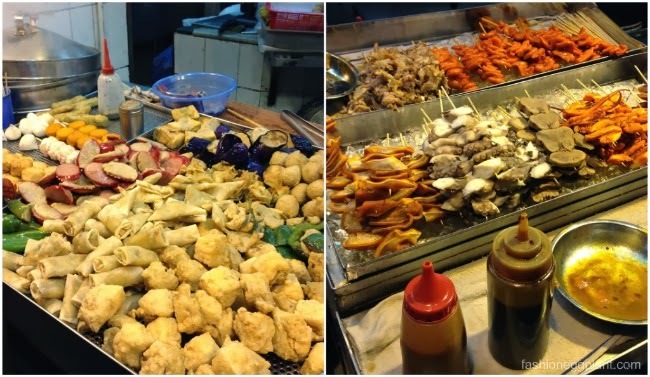 For lunch and dinner, some people enjoy scouring the streets to try different kinds of Hong Kong street food. I was never really a fan of street food no matter which country I'm in. Don't know if it's age but I like having my meals in a quiet place where I can sit down, take my time, relax and enjoy my meal so street food was out of the question. If you enjoy this type of food, you can get a meal for about P150. The real challenge in picking a place to eat was location, seating and price. We were staying in Tsim Sha Tsui surrounded by LOTS of malls both posh and mid-priced. Most restaurants in Harbour City are quite expensive (average price of $100HKD up/person) unless you visit the older wing where you can get a rice meal for around $40HKD (P240). Silvercord Mall has a lot more affordable choices. Their food court looked promising. There's also an Ippudo Ramen house there and Din Tai Fung (more on that later). 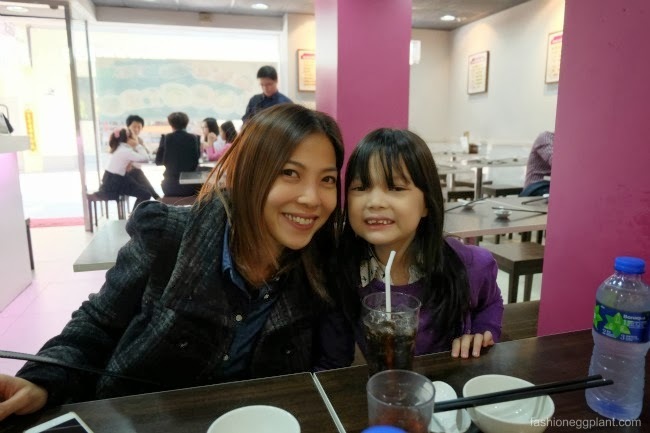 A big favorite of mine and my friends in Kowloon is Delicious Kitchen, if I'm right, I think it's the original Eat Well (delicious kitchen) you find around Manila. In Hong Kong, their food is a little more bland but less greasy. Menu is also slightly different. It's a good place to have a nice, clean and authentic Chinese meal. Each dish costs around $40HKD (P240). 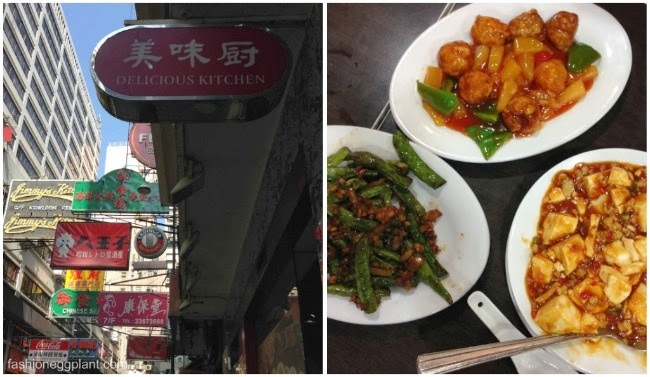 Delicious Kitchen has 2 branches in Hong Kong that I know of: one is on Cleveland Street in Causeway Bay (Hong Kong side), the other is on Ashley Street in Tsim Sha Tsui. 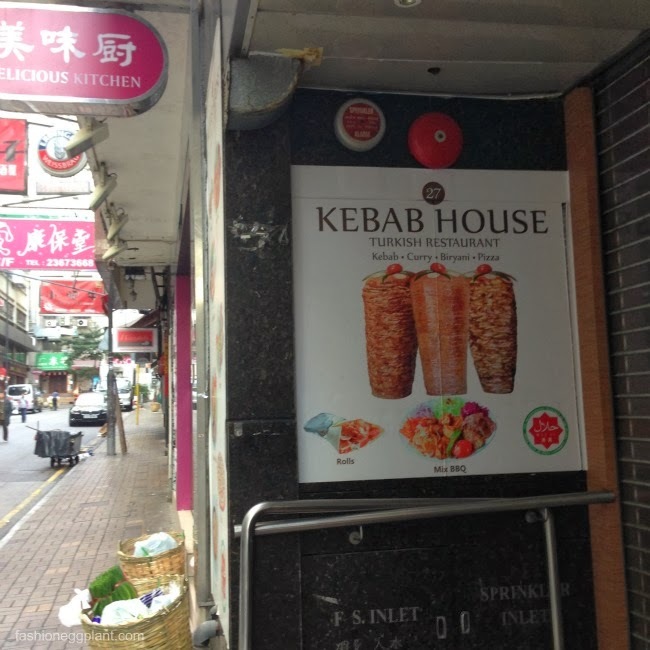 Right beside Delicious Kitchen on Ashley Road is Kebab House. Seating is slightly more cramped but food is cheap and good. A complete meal with rice and drink will only cost you around $40HKD. Try their different curries and shawarma rice. Another favorite of ours, especially for dinner, is Paisanos. 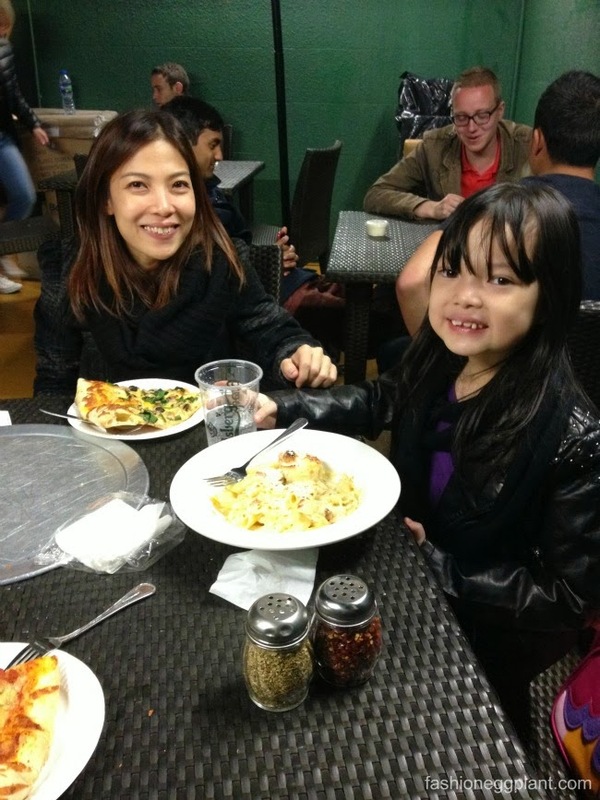 A casual dining pizza/pasta place located near Tom Lee in Tsim Sha Tsui. They have another branch in Wan Chai but I don't really visit that area. Paisanos has really good New York style pizza unlike any you can find in Manila. One slice is HUGE and only costs $40. The crust is really delicious: crunchy on the outside and chewy on the inside. The Carbonara is also yummy and a favorite of Nikola. 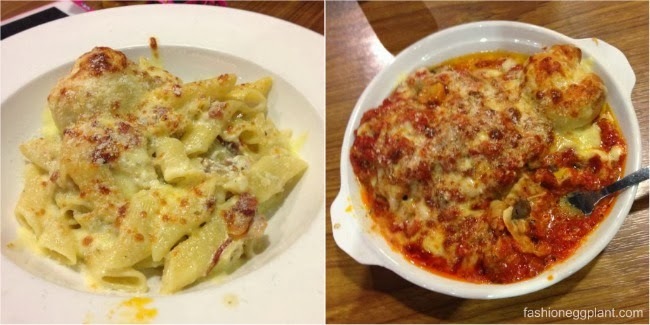 Pasta dishes cost around $65HKD. I tried their Vegetable Lasagna but found it a bit too cheesy (couldn't decipher between cheese and noodles anymore). I suggest going for pizza when you visit this place, you can't go wrong. Another must visit is Din Tai Fung in Silvercord Mall, Tsim Sha Tsui. 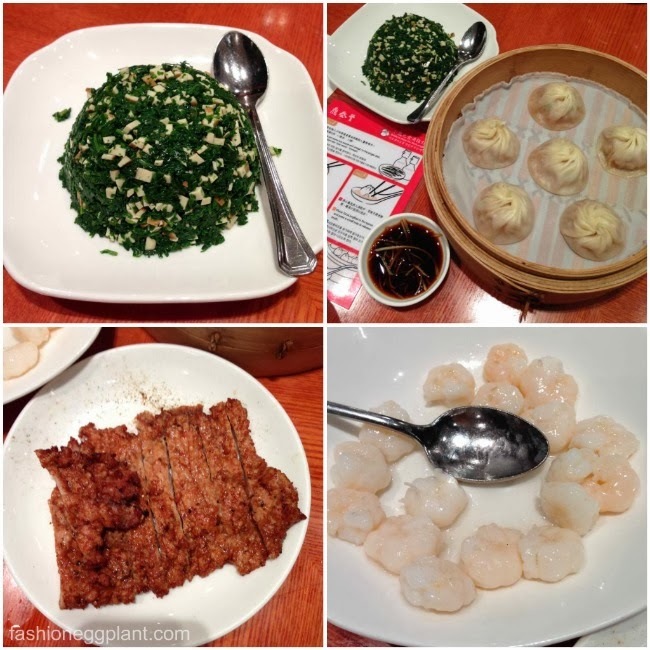 Din Tai Fung is a typical dimsum restaurant similar to what you might find in Manila. It's clean, spacious and they serve good Xiao Long Bao (dumplings with soup inside). A dish here costs around $40-$70HKD depending what you order. Sounds and looks reasonable but be careful. We're big eaters and kept ordering dishes because we found it relatively cheap at face value. By the end of our meal, we ended up paying more than $600HKD (P3500) for the 3 of us (myself, Dennis and Nikola). 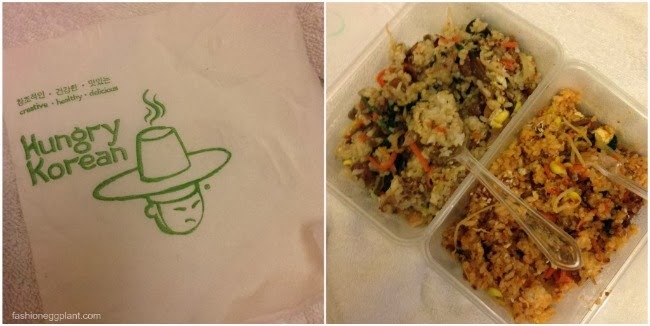 We had the spinach with beancurd, kailan with garlic, xiao long bao, 2 orders of fried rice, stir fried shrimp (really good, it was served without the shell, super fresh, we were eating it like popcorn), plain rice and pork chops. Service tea here isn't free as well but they don't mention it beforehand. They just serve it. If you're not a tea person, ask to be given water instead. It's served hot in a teapot. A super cheap, quick-fix meal that's also great for take out is the Bibimbap at Hungry Korean, only $25HKD (P140) and you can order it spicy (beef) or not spicy at all (chicken). When it comes to alcoholic beverages, it's pretty pricey anywhere in Hong Kong. Average beer at a bar costs around $70HKD (roughly P450)/bottle. You're better off buying your booze at 7/11. A 500ml can of Stella Artois will set you back $20HKD. It's nice to grab a couple beers and settle down near the Avenue of Stars where you can enjoy a view of the bay and Hong Kong's city lights as well. If you must visit a bar, there are some establishments along Lan Kwai Fong that serve cocktails for around $30-$40 HKD. Also best to take advantage of "Happy Hour". 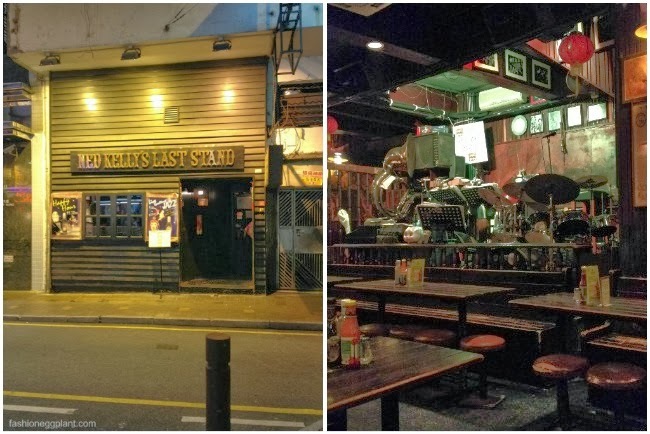 At Ned Kelly's Last Stand on Ashley Road, beer only costs about $35 between 4pm-10pm (if I remember right) plus you get to enjoy live music by a Pinoy Jazz Band. Also check the SOHO area in Central.